Warehouse floor needed for your business? 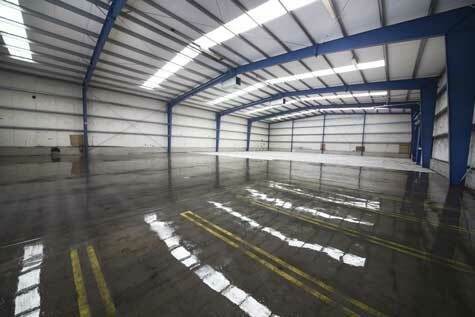 A high-quality warehouse floor thanks to a synthetic coating. Of the highest possible quality, and you can make full use of it within 24 hours after application. Suitable for heavy loads and resistant to chemicals. We like to help you find the right coating for your warehouse floor, so you can prevent damage to the concrete and (continue to) use it in a sustainable way. Curious about the costs of a coating for your warehouse floor? We are happy to provide you with a free quote, based on your specific wishes and requirements. Immediately informed of the costs, so you will not be faced with surprises. 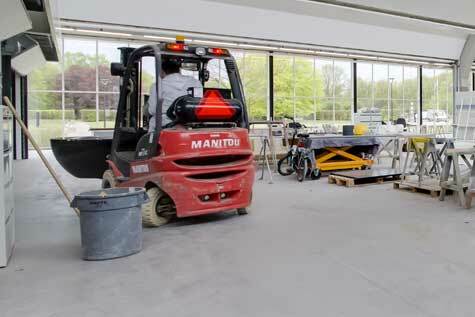 Why a coating for your catering floor? With a coating for your warehouse floor you choose a durable, hard-wearing, hygienic and extremely strong whole. The coating ensures that the concrete is properly protected. Against heavy mechanical stress or the use of chemical agents. The coating is extremely resistant to mechanical and chemical stress, because we choose the composition of the material based on your specific requirements and the way in which you will use it. 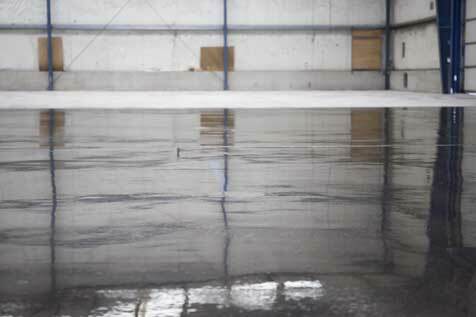 We will create a smooth warehouse floor or we apply a non-slip coating. In both cases you can expect a high-quality floor. We can also repair local holes in the concrete immediately. 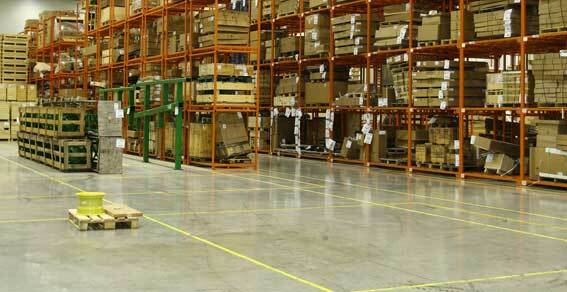 Our warehouse floors are a high-quality coating suitable for various purposes. Good resistance to the use of chemical agents or heavy (mechanical) loads. We smooth the floor or provide a non-slip coating. Easy to clean and extremely durable, so you can count on a sustainable result. Before we can install the warehouse floor by means of the coating, our specialists can repair any damage to the concrete. That means the floor will be like new, and will last for years. And the best thing about our method? The floor is ready to use within 24 hours, so the work will not come to a standstill. 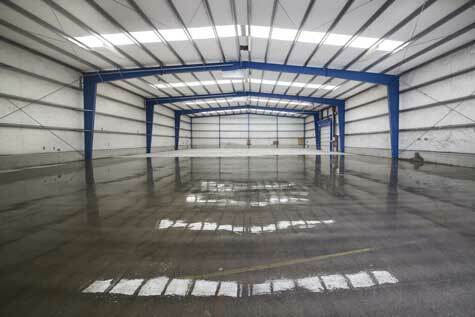 We install coatings for warehouse floors at various large companies. We coat the entire warehouse floor, so that it looks like new again and optimally provides the desired properties. We install coatings for companies that work with heavy mechanical loads, and various chemical agents. Curious about the costs of a warehouse floor per m2? We are happy to provide you with a free quotation. Based on the total surface area and your specific wishes and requirements. You will be making an excellent choice for a high-quality floor in your warehouse. 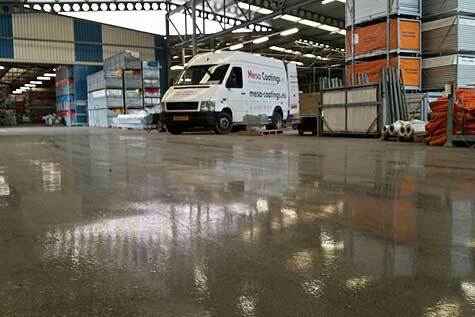 Request your quote online for the coating of your warehouse floor. We are happy to explain how we can be of service to you and inform you of the costs in advance.